Drivers who are appointed to drive a particular vehicle need to fill up Vehicle Service Forms before they commence with the job. 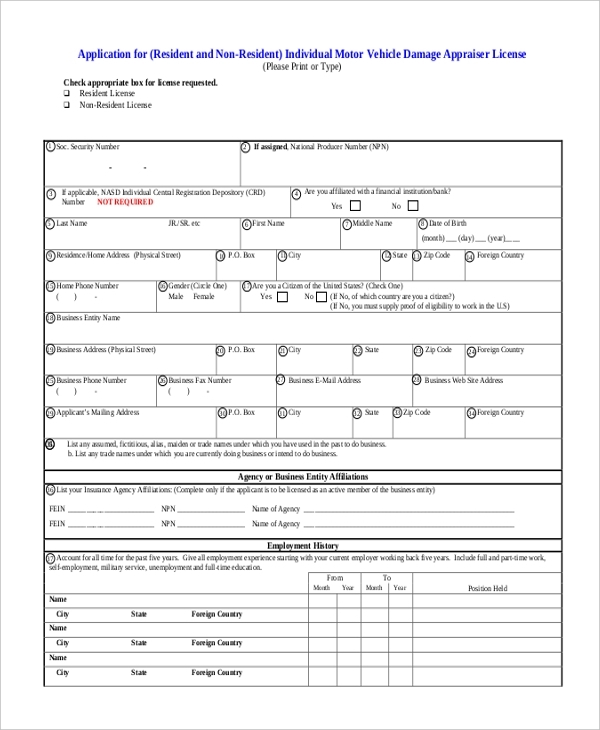 These forms are customized to record the condition of the vehicle. It is not only required to keep a record to the condition of the vehicle but also makes sure that the driver does not land up in trouble if any part was damaged prior to his appointment. Check out the Appraisal Forms – file format from the following templates to get a comprehensive idea about these documents. The details of the vehicle dealer are presented in the first section, followed by the conditions of different parts of the vehicle. These can be used when cars are hired on a rental basis. You can also see Sales Appraisal Forms. These forms are used in the case of antique vehicles. The personal and contact details of the registered owner of the vehicle are specified in the template, followed by the condition of the car. A tabular format is incorporated to write the driver’s details. This form has a tabular format of presentation. Different parts of the vehicle are listed in the first column, followed by their condition. Some questions concerning the vehicle are also included in this template. In this form, the performance of the driver is evaluated on the basis of several parameters like parking, braking and so on. These are used for commercial vehicles. You can also see Self-Appraisal Examples. 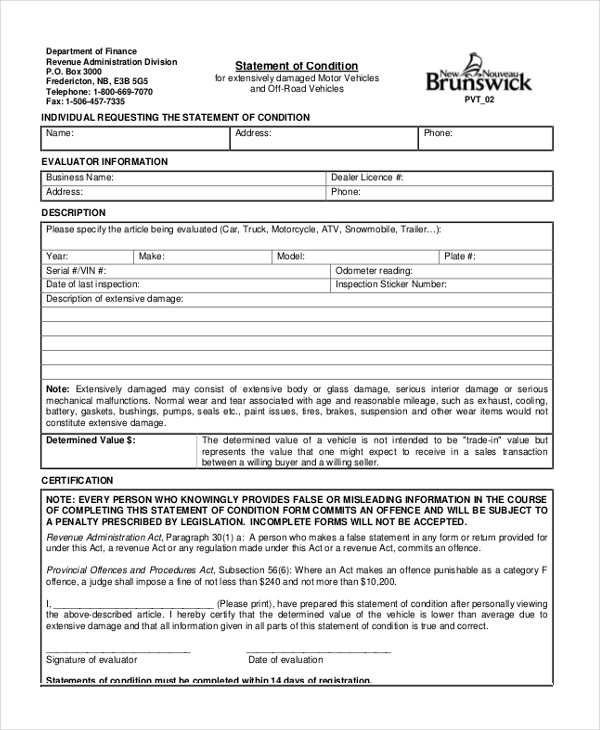 These forms are used to assess the extent of damage to a vehicle if it so happens. In this template, the data is presented in different sections, both of paragraphs and tabular format, in some areas. 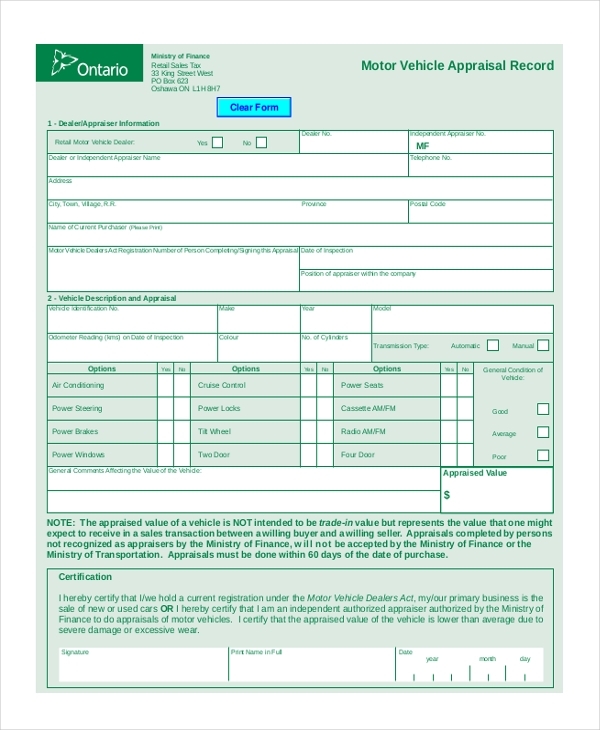 These forms are usually used when a company leases or rents out a vehicle for sports purpose. The name of the concerned person, information about the evaluator and details about the car are presented in different sections. 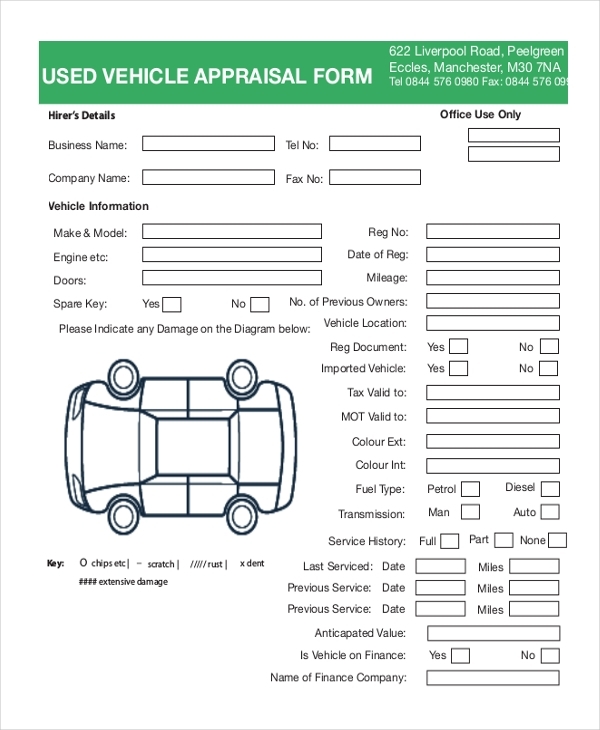 This form includes information about the garage where the vehicle is kept, information about the vendor, extent and details of damage, and related information. An informal presentation style is incorporated in the form. You may also see Annual Appraisal Forms. When a party hires a vehicle, they need to fill up this form. The hirer’s information, vehicle information and specific details about the vehicle are included in this form. 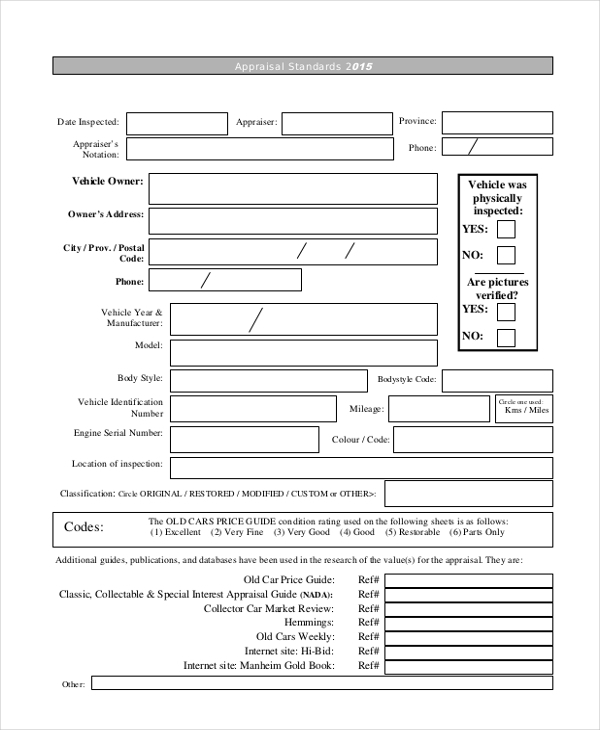 These forms are necessary when a vehicle is leased out or hired. Both the parties involved in the agreement should ensure that they have the same opinion about the condition of the vehicle and inspect it well. If the vehicle suffers any damage due to rash driving, accidents or other reasons, the driver will be held responsible for it. 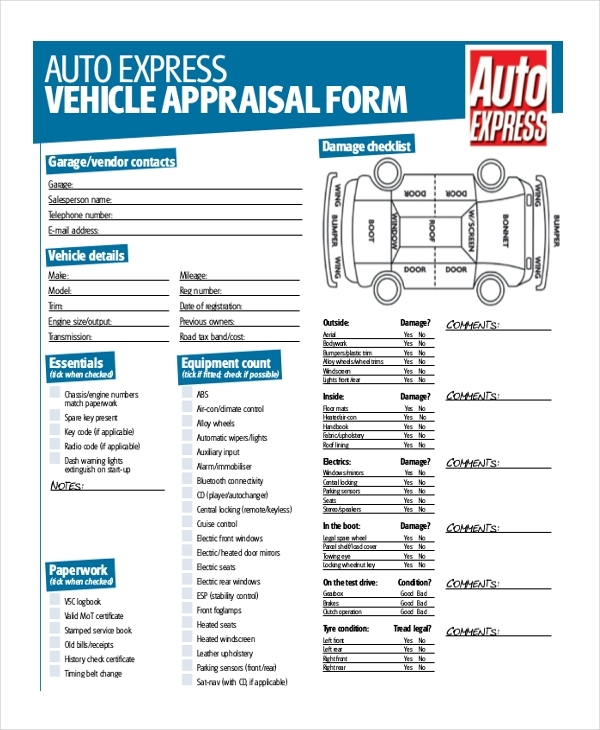 The purpose of this form is to assess the condition of the car before and after it is hired. The way a driver handles the vehicle is also specified in the form. 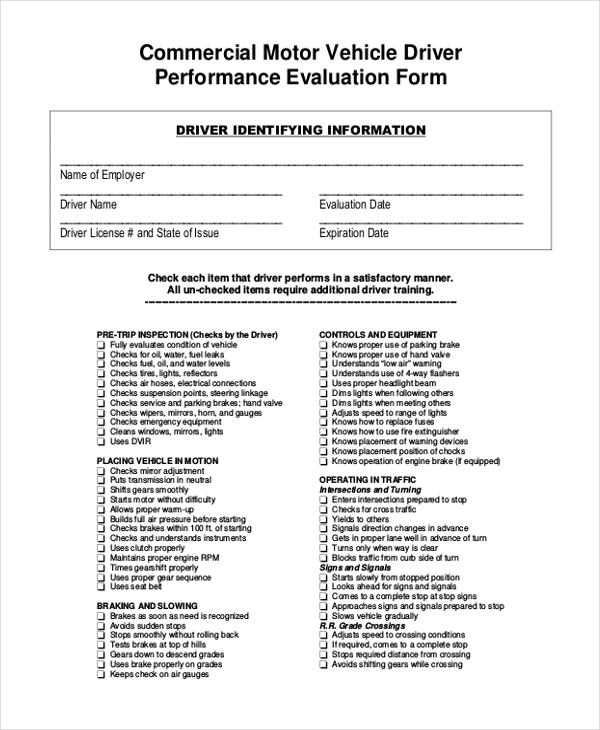 You may also see Performance Appraisal Forms. 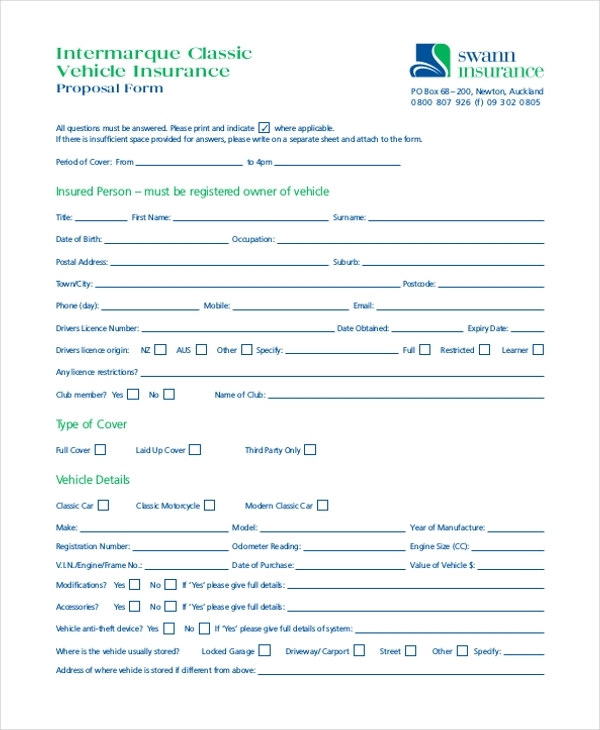 These forms are to be signed by the driver or the party which hires a vehicle. The vehicle is inspected by the owner or the dealer, and the form is signed upon by both the parties. When the cars are taken off the roads for service at periodic intervals, certain flaws are detected. There might be a confusion about the person responsible for the damage. The agreement ensures that there will be no problem in identifying the person, whether it is the driver or the previous operators of the vehicle. you can also see Appraisal Review Forms. If you are planning to hire a car, make sure that the agreement is signed. Look out for pre-existing damages in the car and take a note of the malfunctioning areas. You can search for similar templates in the website and download them when required. Signing these forms ensure that you do not get entangles in undue hassles in future.